Round 1 gets underway this weekend when WT Birkalla take on Campbelltown City at Jack Smith Park. The boys have all had a solid pre season and are all looking forward to the upcoming season. We hope to see as many supporters attend this Saturday to make sure 2016 starts off with a bang. What a first round of fixtures the 2016 Playstation 4 National Premier League South Australia promises to bring. Last season, both sides boasted point tallies more flattering than their final league position, with Birkalla finishing 3rd, just 2 points off the top, and Campbelltown claiming 6th spot, but just 5 points off the pace set by the league-leading West Adelaide. Birks were the victors in their last meeting with Campbelltown, winning last year’s elimination final 5-4 on penalties, leaving Campbelltown heartbroken as they watched Birkalla go on to the preliminary final, where they were overran by a confident West Adelaide side, who scored a comfortable 4-1 win. Another tight game should be expected in round 1 of the 2016 PlayStation 4 National Premier League South Australia. It would be easy to underestimate the value that an early 3 points would give either side, considering the quality both teams possess. There is a significant cloud hanging over the head of the Birkalla side however; he departure of Ryan Kitto – the stand out player from the 2015 season. 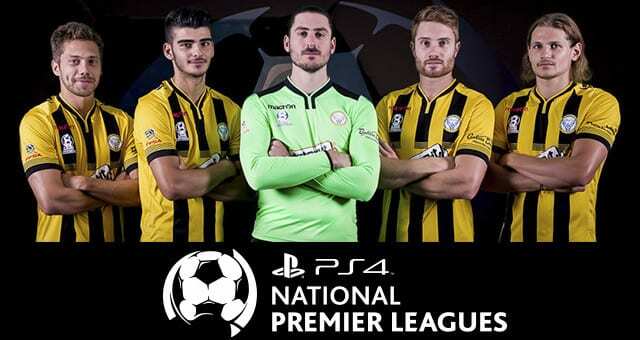 It all starts this weekend and both sides know how crucial a 3 point head start could be in what promises to be one of the most competitive seasons of PlayStation 4 NPL football we’ve seen so far.